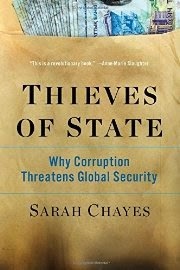 Chayes' thesis is that failed states are not really failed states, they are countries captured and run by criminal associations. Their modus operandi is the shakedown at all levels. Therefore, the strategy of the United States – first to establish stability and only afterwards to root out corruption – does not and cannot work. Oppression is not a good strategy for the long term. Chayes starts with Afghanistan, where she started out working for NPR and then left to work for an NGO headed by the older brother of one Hamid Karzai. She soon discovered that the Karzai's could easily have been directed by Francis Ford Coppola, the only problem being to decide who was Michael, who was Sonny, and who was Fredo. She literally watched the CIA hand over large bills to one of the brothers wrapped in aluminum foil. She did not witness the obtaining of a receipt. Chayes' thesis to end corruption first is based on obtaining the good will of the people. They are the ones who are actually oppressed and extorted. Chayes cites four or five “mirror” would-be ruler advisers, the most familiar being Machiavelli, who have sought to bring reason to rulers through the ages. They all say the same thing, that you have to be basically fair to the people, responsible for them in rooting out the corruption of your subordinates, etc. If you don't act this way, they will revolt, and that the revolt will often be based on an extreme religious element, such as Martin Luther. Viewed this way, one comes to think of the Taliban and other Islamic movements as a typical reaction to official corruption. It's nice to think of a Westphalian world where states respect each others' boundaries and internal politics, where legitimacy is respected inside and outside of the state. Unfortunately, with these kleptocratic states, that's not going to be possible. 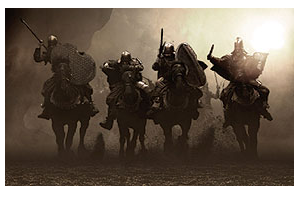 They will experience upheaval and threaten those around them and increasingly the rest of the globalized world. It's not a bad idea to try to help the states develop internal legitimacy and coherence. But to help them, the helpers need to understand both those states and the mirror-writers and history. There is little evidence that this is happening at anything like the scale we need. It's a powerful argument in a short book. I recently attended an Oslo meeting of the Dr Foster Global Comparators, an international group of hospitals that have been working together to share data and insights related to quality and safety. What makes the group particularly interesting is their attempts to draw comparisons across national boundaries. This is no easy task, given the different manner (and for different purposes) in which countries collect administrative and clinical data; but the group has made good progress in several areas—notably GI, stroke, sepsis, and orthopaedics. At this session, I met committed and interesting folks from the UK, US, Denmark, Norway, China, Saudi Arabia, the Netherlands, and Australia. While all the presentations were engaging, the one that most intrigued me was one offered by two surgical fellows from Imperial College, Christopher Nicolay and Stephen Williams. As I understand it, Christopher conducted much of the original research, and Stephen is now going to pick up on it and carry it forward. I’ll just present a quick outline here, as I’m confident they will formally present the results elsewhere, and I don’t want to steal their thunder. Using interviews with many folks, a thoughtful model was derived for assessing organizational health for 22 acute care NHS trusts in the UK. Those assessments were then correlated with patient outcomes like mortality rates and critical incident reporting. Sure enough, there was a positive correlation. Others of us who have run hospitals, visited others, and studied others have seen that the quality of the work environment inevitably has an impact on patient outcomes. An organization in which staff wellbeing, effective communication, resilience, efficiency, and servant leadership are extant tends to be very good as a learning organization and tends to be more alert to the needs of its patients and more adept at clinical process improvement. Stephen’s next step is to try to extend the research across national boundaries and investigate whether similar patterns might show up around the world. Congratulations to these two young men for taking on this topic and helping us gain deeper insights into the matter. This was sent by a friend. 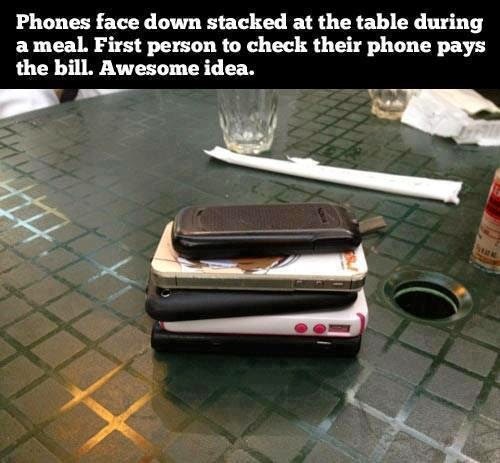 I think it's a great idea. The folks at Dr Foster recently published a thoughtful paper about the uses and abuses of clinical data for the purposes of measuring performance. While their thoughts are directly applicable to government regulatory agencies, they are also worth considering with regard to benchmarking within the profession and by hospital governing bodies. The paper is well worth a look. Distraction: Challenging, obfuscating or denying data which suggests underperformance instead of fixing performance problems. Make data quality as important as hitting targets – By initiating a long term audit programme to tackle misreporting and incomplete or inaccurate data recording. Measure the context not just the indicator – Keeping performance measures under constant review, perhaps by multi-disciplinary specialist groups, including Royal Colleges and patient organisations. Avoid thresholds and consider the potential to incentivise ‘gaming’ in the design of metrics – Performance measures should be assessed according to the likelihood they will encourage abuse. Thresholds should be avoided wherever possible. Be more open – Making data underlying performance management widely available and promoting ongoing assessment of the degree to which metrics are being gamed. Apply measures fairly – In order to recognise legitimate mitigating factors such as resources and pressures outside the control of the organisation. As the US remains splintered about the rights of the public with regard to health care, things have often been different in Europe. But is this changing? Richard Saltman and colleague offer an interesting article in the Israel Journal of Health Policy Research. The title: "Health Sector Solidarity: A Core European Value but with Broadly Varying Content." Although the concept of solidarity sits at the center of many European health sector debates, the content of the services and benefits that solidarity ensures has changed considerably over time. In prior economic periods, solidarity covered considerably fewer services or groups of the population than it does today. As economic and political circumstances changed, the content of solidarity changed with them. Recent examples of these shifts are illustrated through a discussion of health reforms in Netherlands, Germany and Israel (although not in Europe, the Israeli health system is structured like other European social health insurance systems). This article suggests that changed economic circumstances in Europe since the onset of the 2008 financial crisis may require a further re-set of the content of services covered by solidarity in many European health systems. A key issue for policymakers will be protecting vulnerable populations as this re-design occurs. The next bend up in the cost curve: Rising prices for old proven drugs? A anesthesiologist friend sent me the note below. If accurate, as this doctor says, "The expense of the surgical robot will pale in comparison to the coming tsunami of overpriced drugs!" I'm hoping some full-time health care reporters take a look, as this seems to be a major story that has been neglected. This relates to an FDA initiative to get "unapproved drugs" off the market. Sounds like a great idea, right? Well, these unapproved drugs are the ones we've been using safely for decades and were grandfathered in to not needing to go through the FDA approval process that started in the early 1960s. So . . . some drug companies have realized that they can jump through the hoops to get one of these drugs approved, at which point all other companies' version of the drug is now "unapproved" and cannot be sold. The same thing has happened with colchicine, which has gone from 5 cents/pill to $5/pill, and all kinds of other drugs are in this pipeline, e.g. epinephrine, and it's only a matter of time before the same will happen to atropine, calcium, bicarb, ephedrine, etc. This is an unmitigated disaster for healthcare spending. Bloxiverz is the first FDA-approved version of neostigmine, which has been on the market as unapproved, grandfathered products under the Food, Drug, and Cosmetic Act of 1938. Flamel expects to launch Bloxiverz in July 2013 in 0.5 and 1.0 mg/mL strengths. The cost difference between the branded and generic version remains to be seen. "Based on our marketing experience, we believe that hospitals will welcome the addition of Bloxiverz as an FDA-approved version of neostigmine," Mike Anderson, Flamel's chief executive officer, said in statement. He noted that unapproved versions of neostigmine have been in "short supply for nearly a year, which may add to the need for a reliable source of FDA-approved product." I'm not sure, but this document appears to be the summary of the drug company's proposal to have its version of neostigmine approved. (The timing of the report seems just right, but the company's name is deleted from the document.) Sure enough, the agency mentions that the drug has been in use since the 1930s and that there is no reason to doubt its efficacy. The report seems to be one of "the hoops" mentioned by my friend. [The FDA guidelines are such] that it will typically remove unapproved product from the market in approximately one year from the approval date of an NDA (5/31/2013) led many investors to believe that the FDA had notified the companies privately that they had to wind down inventories and prepare to leave the market entirely at some future date. This was cleared up today for me, when I learned that Cardinal Health, a distributor of West-Ward Pharmaceuticals' unapproved formulation of neostigmine, had updated its National Drug Code information to indicate that neostigmine methylsulfate supplied by West-Ward would no longer be available for marketing after September 30, 2014. So, while Mr. Anderson correctly noted the shortage, his firm's filing, was in essence, the cause of the shortage. I believe that this new information is clear public evidence that the neostigmine competitors to Flamel's BLOXIVERZ were told to cease marketing of their products by the end of September. From channel checks, I estimate that there was approximately six weeks of inventory of unapproved product in the channel and as much as six weeks of inventory in-process at the two unapproved manufacturers. As this inventory is wound down, I would expect Flamel's BLOXIVERZ, as the only remaining player, to continuously gain this share, and I conservatively project more than 50% share by September 1 and close to 100% share by the end of that month. While I may be off a few weeks on the timing of the inventory drawdown, I am pretty certain that Flamel's BLOXIVERZ will be the only neostigmine product on the market after September 30th and that the product is truly transformational for the company, as the drug should drive annual earnings power of $1.00-$2.00 per share beginning in the fourth quarter and in 2015 and 2016. Based on my discussions with industry experts and a review of drug pricing during periods of market dominance, I believe that BLOXIVERZ could generate revenues of approximately $150 million in 2015 and more than $200 million in 2016, with peak revenues of $250 million later that year. 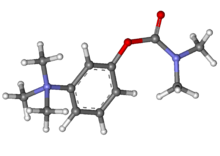 Neostigmine methylsulfate is used to reverse the muscular blocking agents following surgical procedures that require anesthesia. It is a critical drug that must be used, and therefore does not require much of a selling effort, and Flamel is able to sell the drug with just two employees, who are mainly responsible for order entry and supply management. As such, margins are quite high in the 65-70% range, after manufacturing costs and royalties tied to previous owners of a Flamel subsidiary of 20%. I imagine there is some good reason for the FDA's unapproved drug regulations, but it is hard to imagine that no one in the federal government understood the potential cost impacts of this policy direction. * Per Wikipedia: Neostigmine is used to improve muscle tone in people with myasthenia gravis and routinely in anesthesia to reverse the effects of non-depolarizing muscle relaxants such as rocuronium and vecuronium at the end of an operation, usually in a dose of 25 to 50 μg per kilogram. Patients admitted to the hospital on weekends are more likely to get a preventable illness or injury during their stay than people admitted during the week, a large U.S. study finds. Even after adjusting for patient characteristics, including the severity of the condition that brought them to the hospital, weekend admission was still linked with more than a 20 percent increased likelihood of hospital-acquired conditions when compared to weekday admissions, lead author Dr. Frank Attenello, a researcher at the University of Southern California, said by email. Even though most admissions - 81 percent - were on weekdays, preventable complications were more common on weekends. Hospital-acquired conditions occurred in 5.7 percent of weekend admissions, compared to 3.7 percent in people admitted on weekdays. "This increased hospital-acquired condition rate is significant because we found presence of at least one hospital-acquired condition to be associated with an 83 percent likelihood of increased healthcare cost and a 38 percent increase in the likelihood of a prolonged hospital stay," Attenello said. Those of us who are Lean adherents would likely conclude that this phenomenon is an indication of a lack of "standard work" in caring for patients during different times of the week. Yes, staffing patterns differ, but a Lean organization would have noticed a difference in the quality of service offered (aka, defects) and would have acted to improve it. Indeed, it would be fascinating to repeat the study and compare results between non-Lean and Lean hospitals to see if there were any difference. The study also stimulated a BMJ editorial--"Patients need safer hospitals, every day of the week." It's hard to argue with that. The level of patient harm, worldwide, in hospitals remains unacceptably high--every day of the week. The next WIHI broadcast — Reducing Risks and Defects in Real Time with Help from the Frontlines — will take place on Thursday, April 23, from 2 to 3 PM ET, and I hope you'll tune in. As health care quality improvement has matured, it’s common to hear the phrase, “Quality is everyone’s responsibility.” But what does that mean more precisely, and how does the concept apply day-to-day? Also, how feasible is it for those on the frontlines of delivering care to not just detect defects in systems and processes, but also solve many of them, right then and there? It turns out this is quite doable, especially if frontline staff and providers are empowered to do far more than patch up problems AND if they can count on operational guidance and leadership from others, including middle managers. We have some exciting work to tell you about on the April 23 WIHI: Reducing Risks and Defects in Real Time with Help from the Frontlines. The goal is first and foremost to reduce harm to patients and improve safety, but in the process it’s also about raising joy in work and frontline confidence to address problems as they emerge and create replicable solutions as part of daily work. Our guides on the benefits and particular tactics include Roger Resar and Andrea Kabcenell, who’ll be drawing on a deep dive they’ve been involved in, looking at frontline tactics that are proving effective coming from Lean Management, Situational Awareness, and something called the Frontline Dyad Model. Alexia Green will share how a group of nursing graduate students took this approach in multiple settings with good results. And Steve Spear, who developed some of the Frontline Dyad Model with Roger, Andrea, and IHI's Kathy Luther, will weigh in with insights from other health care organizations and industries. Steve will also offer guidance on what leaders can do to ensure defects are addressed at the point of care. The April 23 WIHI promises to be as specific as you probably need it to be, while offering fresh frameworks to help you develop practices of your own. Come learn how to “See, Solve, Share, and Lead.” We look forward to your interest and participation on this next WIHI! Please join us on April 23. You can enroll for the broadcast here. Coming soon to the US? The English press have a love-hate relationship with the National Health Service. On one day, you might find a story about the extreme dedication of a given nurse who goes above and beyond the call of duty to help a sick or disabled old man or woman. On the next, you’ll find an article excoriating the system and its leaders for allowing long wait times at the A&E's (emergency rooms). And during an election campaign of the sort now taking place in the UK, both extremes are presented almost every day. And that’s in the responsible press. The tabloids even more so. Stories about salaries of corporate executives are always grist for the media’s mill, and my point today is not to question the editorial judgment of a newspaper that decides such matters are newsworthy. Indeed, stories about high salaries for executives when nurses and other staff have faced salary freezes can be quite compelling. No, what really struck me was how inflammatory the reporters and editors chose to be in the extraneous material they inserted into the story. Ultimately, the story was about the lifestyles of the executives. I don’t know, but perhaps it was designed to tap into some sense of latent class warfare. I had heard about this technique before in other stories in the UK tabloids, but I had never read those stories as closely. I offer some examples here as a “public service” to hospital executives in other countries, like the US, where such media practices might spread. Mr. Reading, who enjoys regular family holidays to exotic locations such as Antigua, where he can be seen posing on beach, as well as Thailand and Majorca . . .
Only 11 days later, Miss Ruskiewicz, 53, updated friends on her indulgent summer travels—from a nail salon in California. ‘Recovering with a mani pedi,” she boasted after a day in the Redwood national park. The hospital boss, who has two daughters and lives in a £1.25 million four bedroom house in West London also went to the Indian Springs Resort and Spa in Napa Valley. The luxury hotel, where rooms for a night cost between $359 (£239) and $999 (£665), specializes in mud bath treatments. During her time in the city the extravagances continued . . . staying at the Queensbury Hotel, where rooms cost between £175 and £489 a night and a tasting menu at the restaurant costs £70 a head. Mr. Morgan . . . recently sold his Texas mansion for nearly $2 million (£1,338,000). It is clear from his Texan home that he is making the most of his lucrative career traveling across America and the UK as an interim hospital boss. His huge family mansion has views over picturesque Lake Conroe, with its own jetty, two jet skis and a boat lift. It also has an infinity pool with Jacuzzi and fountains. The five-bedroom house has sprawling manicured gardens. Photographs from inside show an extravagant spiral staircase, marble floors, chandeliers, grand oak furnishings and antiques throughout. There are sunbathing terraces with palm trees and a games room with a huge television and pool table. Pictures he posts online of his travels include shots of him stroking a cheetah in South Africa. [L]ives with his second wife Lucy in Ealing, West London, in an area where the average property price is in excess of £1.7 million. Sandy Spencer, who has been pictured posing in a fascinator and drinking wine on holiday, appears to live the life of a socialite. In fact, she has made her wealth by merry-go-rounding as a freelance NHS boss. The principles of patient centred care and the mantra of “nothing about me without me”1 have gained broad support, but its proving hard to adopt and embed them in routine practice. New ways of thinking and tackling resistance to change are needed, and a range of initiatives are being pursued. 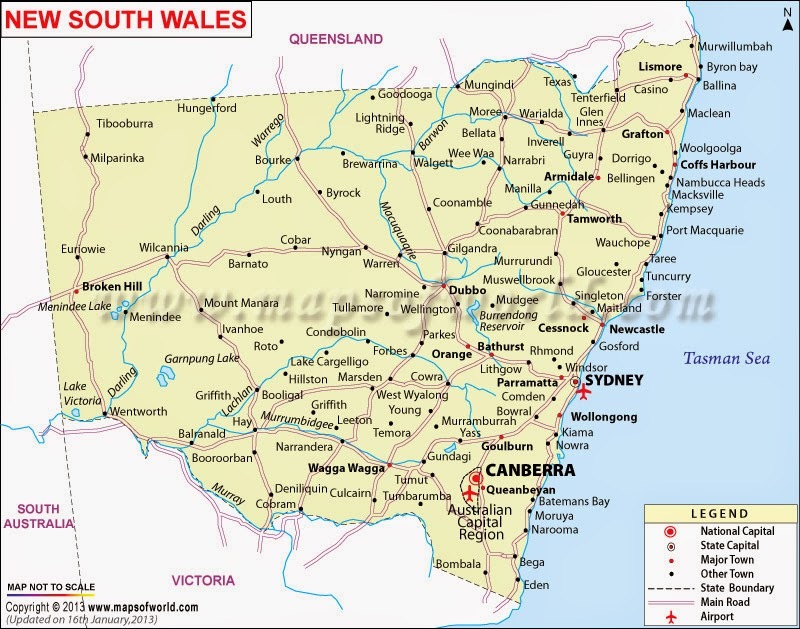 We describe the approach being taken in New South Wales, Australia’s most populous state, with 7.4 million residents and 1.66 million public hospital admissions a year. This has focused on the development of a “patient based care challenge” aimed at spurring system-wide integrated change to promote patient centred care. The term patient based care was introduced with the aim of making patient centred care more broadly recognised as everyone’s responsibility—from the executive through to frontline clinicians and staff—with care systems included as well as bedside care. We discuss how the health districts have responded to this challenge. The Clinical Excellence Commission was set up in 2004 to promote and support improved clinical care, safety, and quality across New South Wales. The commission monitors state-wide incident reporting and implements quality improvement initiatives to address key safety and quality problems identified. In 2010, a consumer adviser panel was established to actively involve patients, carers, and community members in all aspects of the commission’s work. In 2011 the commission developed a “patient based care challenge” for district healthcare services in collaboration with a partnering with patients advisory committee, which comprised patients, clinicians, managers, and policy makers. Patients and families highlighted the importance of engaging with patients in care at the bedside but also in health service governance and strategic decision making. The 26 strategies included were grouped under nine domains drawn from evidence of effective strategies used by leading patient based health services. Although some strategies are specific to hospital settings, most can be used across a range of healthcare settings. We framed the overall strategy as a challenge to health services to reflect the difficulties of making system-wide change and to infuse a competitive aspect into the process. Thirteen of 15 local health districts committed to the challenge in the first year. The two remaining districts wanted to complete new district-wide strategic plans before committing. Most districts focused on two or three strategies, although six adopted more than three. The most common initial strategies selected were: start each board meeting with a story of patient care from your service (six districts), arrange for board and executive members to visit wards regularly (five), involve patients, families, and carers in governance through participation in committees (five); encourage staff to view patients, family, and carers as core members of the healthcare team (four); and implement processes to support patient or family activated escalation of care for deteriorating patients (two). By October 2014, the 13 districts had adopted an average of 19 (range 13-25) strategies. The moat has been crossed. The ramparts have been breached. Any hint that the invasion by the robotic surgery company will be slowed is off the table. At least as seen by the investment advisory folks at LEERINK, analyzing the shares of Intuititve Surgical (emphasis added.) Is this really the way you want to see health care policy developed in the US and other countries? Such momentum from this and other companies sure makes the proponents of the "Triple Aim" look like naive waifs. We are attending SAGES in Nashville, TN, where physician discussions continue to highlight a growing level of physician interest/experience in newer general surgery areas such as colorectal, hernia, bariatrics--and the power of robotics as a marketing tool for docs & institutions in these areas. As usual, cost-benefit & clinical outcomes remain highly debated, but dv gen surgery momentum nevertheless seems to be building, and we believe uptake in these newer areas (i.e., hernia, colorectal) should continue to support our accelerating procedure growth outlook thesis. Hernia continues to be an increasing area of interest for robotics as evidenced by a jam-packed inguinal hernia session on 4/15 that included a few talks/debates on da Vinci. While there continues to be much discussion around cost-benefit and best indications of use (i.e., inguinal vs. ventral)--and no real resolution leaving these panel sessions--there does seem to be some consensus forming around the notions: (1) more procedures should be done MIS with hernia penetration rates still hovering below 25%, (2) robotics may represent an enabling technology for furthering MIS penetration in more complex cases. With this and other recent feedback we head into 1Q earnings and 2015 with a higher level of conviction that potential near-term outperformance in the dV hernia category should to some degree help offset potential slowing trends in chole and ongoing sluggish growth momentum in GYN. Investment thesis: ISRG continues to be a unique, robotic surgery franchise developing numerous promising new general surgery procedures—cholecystectomy, colorectal, bariatric, thoracic, head & neck, and others; and accelerated growth and procedure adoption internationally (e.g., dvP [da Vinci Prostatectomy] in Europe, Japan). Recent challenges have called into question the sustainability of long-term revenue growth rates—in both system placements and its bread and butter prostatectomy and hysterectomy procedures. But a new product cycle (Xi) should help to reinvigorate system sales growth. 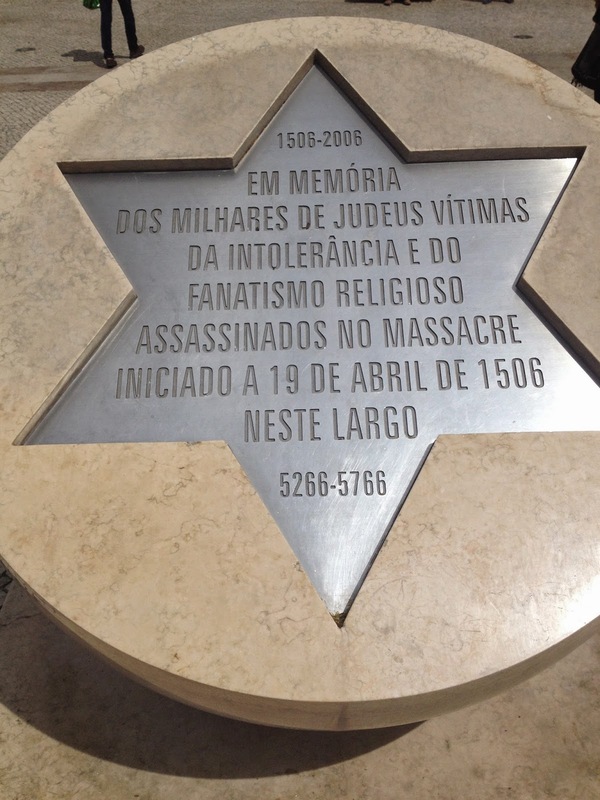 I write from Lisbon, where I was surprised yesterday to see the government monument pictured above acknowledging the murder of two thousand Jewish people for "deicide and heresy." And then, coincidentally, I saw that Andy Tarsy has written a thoughtful article at Tablet, called "Why Jewish Organizations Must Stop Denying the Armenian Genocide." About 1.5 million Armenians were killed by those working under the auspices of the Ottoman Empire. It's not the first time Andy has set forth opinions on this subject. The last time cost him his job as regional director of the Anti-Defamation League. National Jewish organizations in the United States have played a dangerous game for decades, giving safe harbor to denial of the Armenian Genocide. As its 100th anniversary arrives on April 24, there is an opportunity to turn the page on a dismal chapter of Jewish American history. The bar is set higher now than simply uttering a particular word or posting a statement to a website. Jewish leaders and organizations have to demonstrate that they recognize the humanity of Armenian people who still live in the long shadow of genocide. These families have been robbed of everything they built and earned in centuries of cultural continuity. Their injuries are compounded by Turkish denial and the complicity of those who could be allies, including ourselves. Over the past three decades, various national Jewish leaders have urged Armenians to address their need for validation by taking up the matter with the Republic of Turkey itself. Imagine Jews being told to do the same with Germans. Jewish leaders have made public comments that deliberately provide cover for those who willfully undermine the truth; and in our name, they habitually advocate against congressional efforts to acknowledge the genocide. Some even take steps to exclude the Armenian story from genocide education curriculums and Holocaust commemoration events. The American Jewish community would be wise to retire two morally and strategically bankrupt imperatives that have contributed mightily to this morass. The first of these feckless imperatives is that anything said to be necessary for Israel’s safety and Jewish security can be justified without rigorous and transparent analysis. The days of deference to the individual judgments of national leaders on issues of strategic importance have to end, no matter how experienced those leaders are. A second imperative we must fully let go of is that the Holocaust has to be insulated from comparison and even commemoration alongside other catastrophic crimes like the Armenian Genocide. As media outlets have reported, the Anti-Defamation League has for decades had a policy prohibiting its regional offices from participating in Holocaust-related events jointly with organizations focused on the Armenian Genocide. If the ban has been lifted, there is certainly no evidence of the organization moving beyond it today. Holocaust museums and genocide-studies programs have crossed this bridge already. They have rigorous methods for managing the analysis responsibly, and there is no sign of damage to any of the important histories that need to be remembered. All your labs are back. Not a new one, but I just saw it. It made me laugh . . . sort of. Eric Semelroth is assistant graphics editor for Modern Healthcare. It may or may not be a big deal, but these things don't happen too often. It appears from a recent "Notice of Material Change" filing that Steward Health Care System is leaving Children's Hospital Boston behind to enter into a deal with Partners Healthcare System to provide pediatric and newborn services. Steward maintains a partnership with Children's Hospital Boston, which provides our pediatric patients with access to the most advanced treatment available. Patients have access to in-house Children's Hospital Boston pediatricians around the clock, seven days a week. Holy Family's partnership with Children's Hospital Boston provides newborns with access to the most advanced treatment available. Children's Hospital neonatologists staff our Special Care Nursery, working closely with community obstetricians, maternal/fetal medicine specialists, community pediatricians and pediatric specialists to ensure optimal coordination of care. In the event that neonatal patients require the most critical care, they have access to clinical services at the Level III Neonatal Intensive Care Unit at St. Elizabeth's Medical Center in Boston or at Children's Hospital Boston. We can also arrange excellence sub-specialty care for your child through our affiliation with Children's Hospital Boston. Lower total medical spending for newborn medicine and pediatric services without compromising the quality of or access to such services. There may be more, or less, here than meets the eye. Steward already has deep relationships with Partners for trauma care and adult tertiary and quaternary care. Those arrangements were signed notwithstanding the higher cost of services provided through Partners compared to all other academic medical centers in Boston. So, is this latest shift just part of a continuing, gradual absorption by Partners of Steward services? Or, are we seeing real competition in action, i.e., that Partners has chosen to "lower total medical spending" by underpricing Children's Hospital? What is Juggling? Juggling is the act of keeping the ball in the air with all parts of your body with the exception of your hands and arms. Players can use their feet, thighs, chest, head and shoulders to keep the ball elevated, but must not use their hands. For inspiration, he included this YouTube of Indi Cowie from a few years ago. Check it out and work on your skills! Your call: Overdiagnosis or appropriate caution? In my opinion, doctors are not doing nearly enough to inform patients about the possibility of overdiagnosis, and we really need to do more. One survey of people aged 50-69 years found that only 9.5% of patients were told about the possibility of overdiagnosis when cancer screening was discussed. Given the results of another survey that shows that patients' tolerance levels for overdiagnosis can vary widely, it is absolutely essential that we include a discussion of overdiagnosis in shared decision-making about cancer screening. New left lower lobe peribronchiolar opacities and right lower lobe 5 mm nodule from 2013, which may relate to aspiration/infection. Since these findings are unable to be visualized on the scout images, follow-up chest CT in 6 weeks is recommended to document resolution. Non-contrast chest CT was performed acquiring sequential axial images from the thoracic inlet through the adrenal glands. Thin section axial, coronal, sagittal and axial MIP's were also obtained. There has been substantial interval clearing of previous bilateral lower lobe ground-glass opacities. There are no new ground-glass opacities, consolidations or nodules. No endobronchial lesion or pleural abnormality is identified. IMPRESSION: Resolving bilateral lower lobe aspiration or infection. More importantly, whichever way you lean on this question, how would you address Dr. Lin's point, i.e., how would you discuss the pro's and con's of the additional diagnostic testing with your patient? On this day in 1642, Massachusetts Bay Colony passed the first law in the New World requiring that children be taught to read and write. The English Puritans who founded Massachusetts believed that the well-being of individuals, along with the success of the colony, depended on a people literate enough to read both the Bible and the laws of the land. Concerned that parents were ignoring the first law, in 1647 Massachusetts passed another one requiring that all towns establish and maintain public schools. It would be many years before these schools were open to all children. Only in the mid-nineteenth century was universal free public schooling guaranteed – in time, made compulsory — for Massachusetts children. Five years later, disturbed by what it perceived as persistent parental negligence, the General Court passed a more comprehensive law, the first to require that towns provide schools (although in practice the law was generally applied only to free, male, white children). All towns with 50 or more families were obligated to hire a schoolmaster to teach children to read and write. In towns of 100 or more families, the schoolmaster (who was usually a recent Harvard College graduate) had to be able to teach Latin as well. Responsibility for education was shifting from the family to the town. The 1647 law eventually led to the establishment of publicly funded district schools in all Massachusetts towns. The schools were distributed around the town, so that no child had to travel more than a mile or two. The curriculum was basic — reading, writing, and arithmetic. In larger towns, a young man whose family could afford to forego his labor might attend a grammar school and, if he hoped to enter the ministry, Harvard College. Public did not necessarily mean free. The law did not specify that towns had to pay the full cost. During the colonial period, many Massachusetts towns required students to cover part of the cost by paying tuition, supplying wood for the schoolhouse, or lodging for the schoolmaster. Nor did public mean universal. At no point in the colonial period were parents required to send their children to school, and many poor children had to be satisfied with whatever education they received at home. Also, not all towns allowed girls to enroll in publicly-supported schools. Girls and very young children whose parents could afford the fees attended what were called "Dame Schools," where a local woman taught reading, writing, and sometimes domestic arts in her home. When John Adams drafted the Massachusetts Constitution in 1780, he included provisions that guaranteed public education to all citizens. In 1789 Massachusetts was the first state in the nation to pass a comprehensive education law. In updating the colony's 1647 law, the legislature required all teachers in grammar schools to "provide satisfactory evidence" that they had received a formal education in a college or university and, equally important, were of good moral character. Even women who taught neighborhood dame schools were to be certified by the selectmen. 92 percent of Americans say it is important to get an annual head-to-toe physical exam . . . and 62 percent of those polled said they went to the doctor every year for their exam. But the evidence is not on their side. "I would argue that we should move forward with the elimination of the annual physical," says Dr. Ateev Mehrotra, a primary care physician and a professor of health policy at Harvard Medical School. Mehrotra says patients should really only go to the doctor if something is wrong, or if it's time to have an important preventive test like a colonoscopy. He realizes popular opinion is against this view. "When I, as a doctor, say I do not advocate for the annual physical, I feel like I'm attacking moms and apple pie," Mehrotra says. "It seems so intuitive and straightforward, and [it's] something that's been part of medicine for such a long time." But he says randomized trials going back to the 1980s just don't support it. 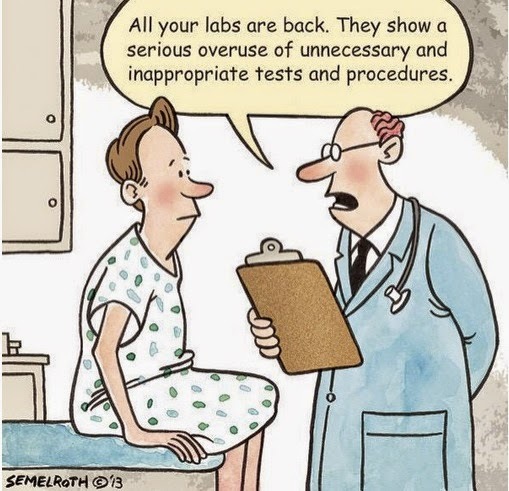 I raised this issue last year with my primary care physician (another faculty member at HMS), and she--one of the more quantitatively astute physicians I know--and one who is compulsive about helping me avoid unnecessary tests--scoffed, saying, "Of course I am going to see you every year." I know my various posts on this blog have strongly advocated the use of evidence based medicine. It's all right if you want to call me illogical or inconsistent, but when it comes to this matter, I trust my doctor. I am a pediatric blood and marrow transplant physician, and am involved in safety and quality improvement, including participation in RCA. The letter writer raises two related but separate ethical questions: should the hospital disclose the results of the RCA, and if the hospital does not, should the writer do so. The hospital clearly has an ethical obligation to disclose relevant information from the RCA to the family, even if that results in a lawsuit. The death of the child does not end the obligation. Several commenters worry that disclosing the information may further distress the family. However, it is possible to let the family know there is more information in a compassionate way that allows them to decide how much detail they want to hear. The second question is less a medical ethics question than one of whistleblower ethics. The letter writer is ethically obligated to advocate within the hospital for disclosure. If it is clear that isn't going to happen, she or he needs to weigh the harm from keeping the secret versus the harm caused by disclosure, including harm to the hospital, the RCA process, and to himself or herself. We don't have enough information to judge (details of the mistake and the likelihood of a repetition are particularly important), but should keep in mind that sometimes the result of whistleblower ethical analysis is that disclosure by the whistleblower would be praiseworthy, but not ethically required. 1. No amount of money will ever bring that child back to life. However, the family many incurred a large amount of out-of-pocket costs, and certainly any such costs should be ZERO. 2. There is simply not enough information contained here to make ANY ethical evaluation. What kind of mistakes? Honest mistakes, Careless mistakes, stupid mistakes, gross negligence, failure to follow established protocol, or what? All this has great bearing on what is the appropriate course of action. 3. I am personally very much in agreement with the concept, that forcing disclosure, will result in far fewer RCAs being conducted, and therefore many fewer lessons learned. 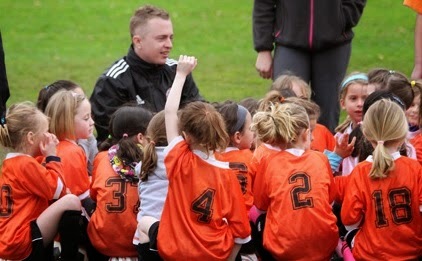 LEARNING LESSONS for the future is far and away the most important aspect of any RCA. 4. Team leader resigned? Assume that person is an MD, and that they will rather effortlessly find other work. Hard to imagine that the former-team-lead won't be haunted by this experience for the rest of their life. And probably several other people on the 'team' who might have been in a position to alter the outcome. I wonder if the physician would feel the same obligation if he or she did not know the parents personally? The hospital should tell the parents the results of the RCA, explaining "this is what we're going to do differently from now on". It might actually help ease the parents' grief if they could know that some positive change was going to come out of their child's death. Medical error is now, according to IOM, our third leading cause of death behind cardiac events and cancer, and responsible for 400,000 deaths a year. A patient safety movement, led by Marty Makary and Peter Pronovost of Hopkins and Atul Gawande of Harvard, has gained adherents, and made some hospitals safer, moving toward teamwork, standardization, and greater safety, but unable to reach the laggards in hospital administration and daily practice. Administrators proliferate; staff is cut; contract emergency department personnel staff 65% of our EDs; device companies offer lucrative incentives; hospitals merge, build, and market themselves like toothpaste. Some hospitals seem to have dropped the weekly morbidity and mortality conference, always confidential. Patients and families are often kept in the dark. This physician may wish to find other employment before s/he talks to the family about the RCA and its results. The hospital culture in which he works will bring the hammer down if s/he remains. Last year, the Schwartz Center worked with a group of Harvard Business School and Kennedy School alumni to identify best practices in the delivery of compassionate healthcare. They’ve now compiled what they learned into a white paper entitled “Building Compassion into the Bottom Line: The Role of Compassionate Care and Patient Experience in 35 U.S. Hospitals and Health Systems.” They’re in the process of disseminating it to healthcare organizations across the country as well as to senior healthcare and policy leaders. Below are the major themes that the Harvard team identified from their interviews with more than 75 hospital and health system CEOs and patient experience leaders. The white paper provides much more detail about each of these as well as specific examples. Employee experience drives patient experience and compassionate care. Involving patients and families in care improvement efforts is essential. Hiring and training for compassion are critically important. Successful organizations have a culture of experimentation; compassionate care champions, often in the middle of the organization; and units that model compassion and share their strategies with others. Compassionate care requires continuity of care and teamwork. 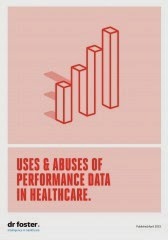 Transparency of patient experience data is a powerful tool to improve performance. Simple tactics can make a difference. Sandra Hernandez, President and CEO of the California Healthcare foundation. Here's the link with all the rules. We decided that there are many capable organizations suggesting good policy, and occasionally we are one of them. But someone also needed to shine a light on this other narrative, the day-to-day opportunities that those on the frontlines of healthcare delivery are seeing in every healthcare facility in every corner of the country. So we made a deal. If you send us your story about how knowledge of healthcare costs at the point of care can help us make better decisions, we will commit to publishing it. The most compelling stories will get a $1000 cash prize. It has to be a real story and you have to be willing to put your name on it. That’s it. Thanks to Neville Sarkari, long serving physician executive from Pensacola, Florida, for forwarding this editorial from the Los Angeles Times. A proposal by Councilman Mitchell Englander could start reordering priorities at the LAFD by diverting the least-urgent medical calls to a team of just two people — a nurse practitioner and a paramedic. They would use an ambulance, but the goal would be to treat people who call with minor medical needs right there at the scene, rather than schlepping them to the hospital — thus saving millions of dollars each year on ambulance rides and hospital admittances. Nurse practitioners are able to do more than paramedics, including writing prescriptions and performing minor procedures. Between calls, this nurse practitioner unit would reach out to "superusers" — people who call 911 more than 50 times a year — to help them find services and resources before they pick up the phone again. I know that such proposal can be controversial, and I'm sure there would be logistical things to work through, but it seems really sensible and interesting. Your thoughts? This Viewpoint reviews an important legal ruling on robotic surgery that highlights potential safety concerns in hospital credentialing and privileging with regard to new technologies. Innovative procedures and technologies are regularly introduced into clinical practice. Although the US Food and Drug Administration (FDA) exercises strict regulatory control over new drugs, it exerts minimal oversight for new devices and no oversight for new surgical techniques. When technology such as the da Vinci robot enters the field of surgery, it is less clear who is responsible for ensuring its safe introduction. In recent years, controversey has arisen when manufacturers go beyond their traditional role (i.e., to reasonably design and manufacture a device) and participate in training and credentialing physicians to use their company's product. And how much more so when the company also pays for the equipment and training? The next WIHI broadcast — All Hands on Deck to Reduce C. difficile — will take place on Thursday, April 9, from 2 to 3 PM ET, and I hope you'll tune in. What was your reaction when you heard the news that Clostridium difficile (C. diff) infected far more people in 2011 than first reported by the US Centers for Disease Control and Prevention (CDC)? Writing in the New England Journal of Medicine at the end of February, the CDC updated its own prior calculations to report that the burden of infection in 2011 was 80% higher than previously stated. In total an estimated 453,000 people were afflicted with C. diff in 2011; C. diff was a factor in some 29,000 deaths. Our reaction here at IHI was, among other things, to schedule a WIHI and to touch down with some people who can help us make sense of the numbers and the health care and community settings contributing to them. And, more importantly, to check in on where progress is being made to reduce instances of C. diff and where much more aggressive work needs to be done. While there are indications that hospital-onset C. diff is declining in the US, no one is satisfied with the pace of change. So, please join us for the April 9 WIHI: All Hands on Deck to Reduce C. difficile. WIHI host Madge Kaplan has assembled a solid panel, starting with Dale Gerding, who will walk us through the latest epidemiological research on C. diff: proven reduction strategies, ongoing challenges with antibiotic stewardship, and where trend lines are moving in the right direction. Jason Leitch is going to give us the view from the UK, and Scotland in particular, where concerted interventions have led to an 82% decline in cases of C. diff in hospitals among people over 65. And Alan Whippy will tell us about important work at Kaiser Permanente, where significant progress has been made, too, and adherence to best practices is crucial so problems can’t creep back in. And, IHI’s Don Goldmann will help us appreciate why it’s important to stay focused on acute-care settings, even as we grow to appreciate the value of prevention and detection of c. diff across the continuum of care and the community. Please join us on April 9. You can enroll for the broadcast here. We'd also appreciate it if you would spread the word about the show via Twitter. Levy said that others signed because they received "very sweet signing bonuses" -- in the form of front-loaded contracts which would be more palatable to providers. Dana Safran, DSc, the plan's senior vice president for performance measurement and improvement, calls the idea that contracts were front-loaded "not accurate." Safran says Blue Cross padded first-year global payment budgets to entice hospitals and doctors to sign on. There is no indication that BCBS asked for a correction of this quote at the time or any time since. I also know from personal conversations at the time with early adopters that they received substantial bonus payments from BCBS. Indeed, at least one major provider organizer received a retroactive payment, going back almost a year--this for a pricing regime that was supposed to influence behavior. Hard to influence behavior after it's already occurred, no? If they can't tell the truth about this, how can we believe the other claims? Those little one-sided news releases pack a big wallop. This time it’s the long arm of a surgical robot that a healthcare seller hoped would make news. “Midtown Surgery Center Announces First-Ever Use of Robotics During a Total Extra-Peritoneal Hernia Procedure,” the news release said informing us that its “Groundbreaking Use of Robotics Could Change the Face of Inguinal Hernia Repair.” It was that old press release trick I wrote about a couple weeks ago—shout to the world you’re the first, and patients will flock to the door. Is it better for patients? That’s the big question news releases don’t answer. But Ramshaw says the real questions are what’s the value to the patient, and where does the robot have value in the context of each patient care process and for each local environment. “The robot is great technology. It’s cool,” he says. But he notes that like all drugs, devices, and screening tests, robotic surgery systems have value in some situations, cause harms in others, and may be wasteful in still others. “Unless we measure the value to patients, we won’t know the actual value of the tool,” he concludes. The country is a long way from measuring the value of such medical interventions. Instead news releases and seller marketing prowess substitute for real information about whether a patient should undergo this procedure or others that have limited or no objective evidence about whether they add value and for whom. These kinds of press releases are another form of direct-to-consumer advertising, which does stimulate demand—demand for often unproven technology that threatens to overwhelm the U.S. health system. Such technology may one day be useful and cost effective, but for now it adds mightily to the country’s healthcare tab. Those little one-sided news releases pack a big wallop. “A new mobile game app created by Allegheny Health Network mental health professionals and students at the Entertainment Technology Center at Carnegie Mellon University helps traumatized children by letting them use their tablets or smart phones to practice the life skills they’ve learned in the therapist’s office. With the tagline “Change how you think; change your life,” the TF-CBT Triangle of Life game is designed to help children age 8-12 better understand their thoughts, feelings and behaviors, and move toward a better quality of life. During this game, the player takes the role of the lion in a jungle story, guiding other animals toward more positive experiences and relationships. Children who have experienced traumatic events such as physical or sexual abuse, domestic or community violence, the traumatic death of a parent or other significant person, war or bullying, face significant challenges in childhood and adulthood. In childhood they may suffer from nightmares, anxiety, disordered sleep and behavior problems. Research shows that in adulthood they are at significant risk of developing depression, drug and alcohol problems, and poor physical health.